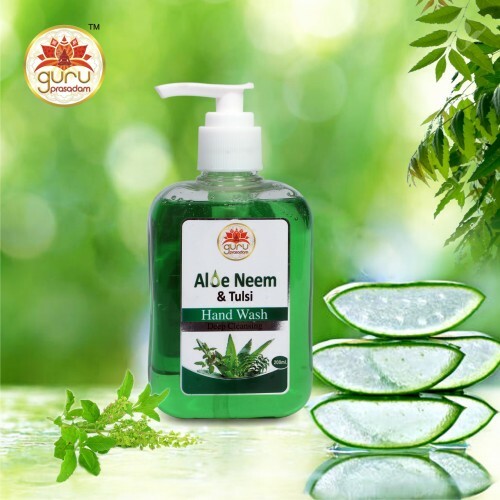 Aloe Neem & Tulsi Hand WashHand-washing, as we know, is one of the most important daily activity. 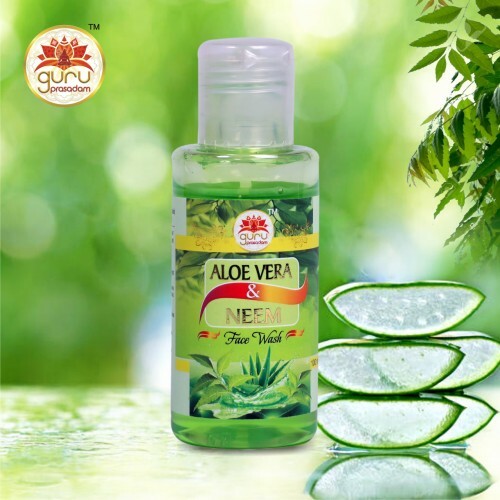 It is a simple hygiene step&..
Aloe Vera & Neem Face Wash For people having sensitive skin, aloe vera is the perfect resort due to its cooling and soothing sensation. 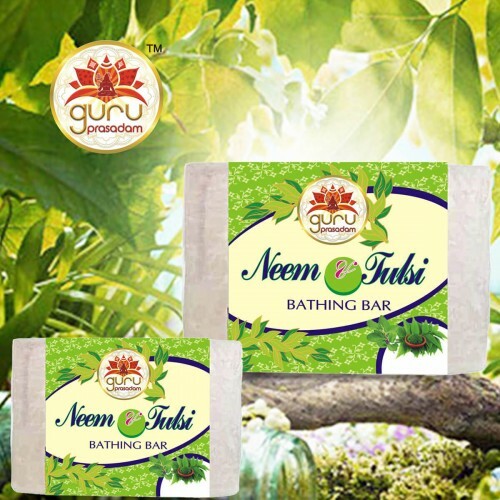 It not ju..
Neem Tulsi Bathing Bar Go back to the beautiful and youthful you with this bathing bar whose rich traditional Indian preparation comes with bountifu.. Since 7th December 2015 Guru Prasadam has cured more than 1 Million people across the world. Reaching to countries in all four continents across the Globe. Sant Trilochan Darshan Das Ji is now pleased to announce the latest 7 editions of Guru Prasadam to address 7 different health issues to help the world lead a Happy Healthy Life. All Rights Reserved. © 2019 Abhimantrit GuruPrasadam Ayurveda Herbal Foods Pvt. Ltd.